Notepad is basic text editor for Microsoft Windows and a basic text-editing program that you can use to create documents.Notepad is always at your hand, you just have to write down what you want to do. 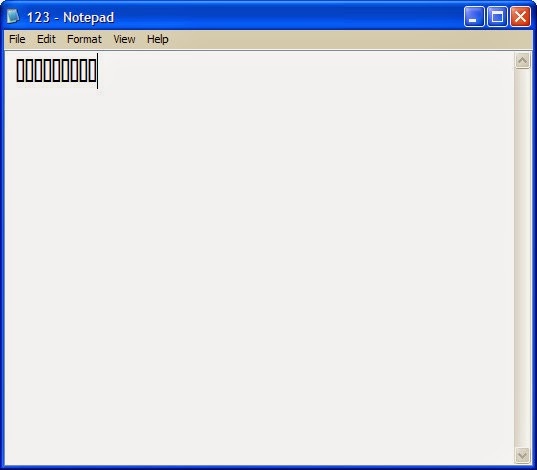 Notepad is useful for collecting and keeping all sorts of information. For example, whenever you find useful information on an Internet site, simple copy it and paste it into a Notepad file. Guys,Today i going to share an intersting notepad Game. Now you must be having some knowledge about the Batch Programming after reading my previous post. Using some commands from the Batch Programming we can create some simple and amazing games of our own. if The if command is used to determine what will happen if a certain event occurs. After the if statement (if [something]), a command follows. goto To go to the label mentioned [goto Label] and execute the block under the label. :Label To create a label. That is to provide a name/tag to a block of the program. [you can name it anything, even :a]. pause To pause the execution and ask the user to press any key to continue.